It Teenage Mutant Ninja Turtles is an American animated series, mainly set in New York City. It first aired on February 8, 2003 and ended on November 21, 2009. In the 2003 TV series, the four Turtles' personalities are in some ways different from the 1987 TV series in an attempt to follow the Mirage Comics versions of the characters more closely. All characters are more complex individuals, and the Turtles have a stronger family bond. The tone is also somewhat more serious with an emphasis on action. The show does not feature nearly as much slapstick comedy or heavy puns as its animated predecessor. 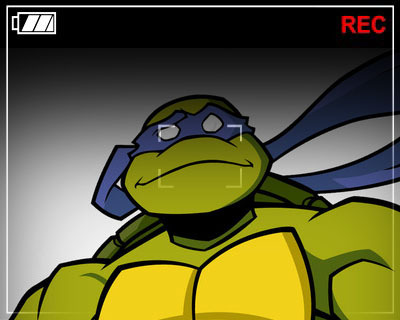 The series covers a large scope of the Turtles' adventures taking them from the sewers, to outer space, alternate dimensions, to the future, and ultimately home once more.